I have always passed by La Maison du Cafe-Najjar while going towards Mohammed Bin Rashid Boulevard. 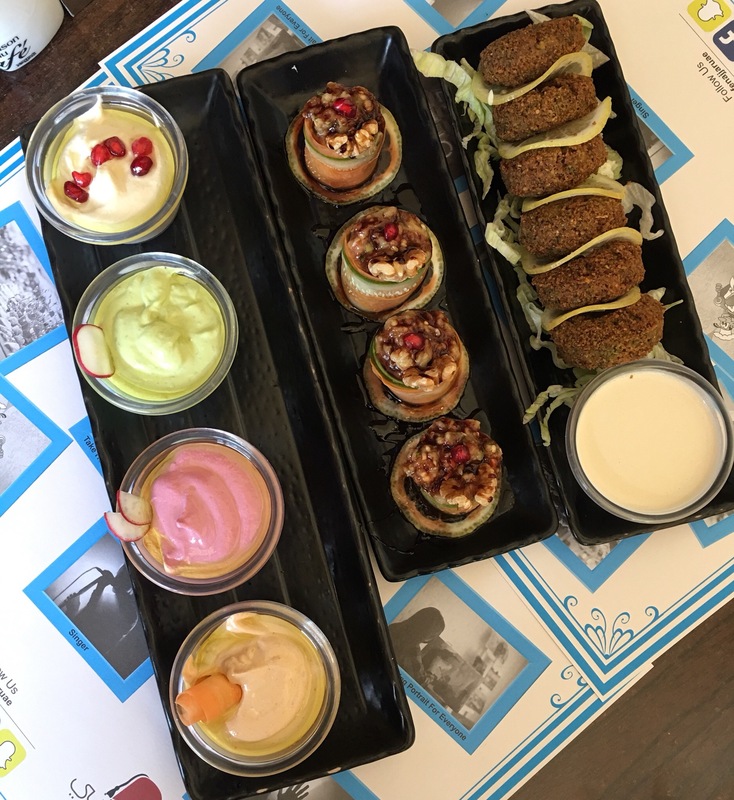 When I got an invite to visit the restaurant, I was excited to visit them as I love Lebanese food. 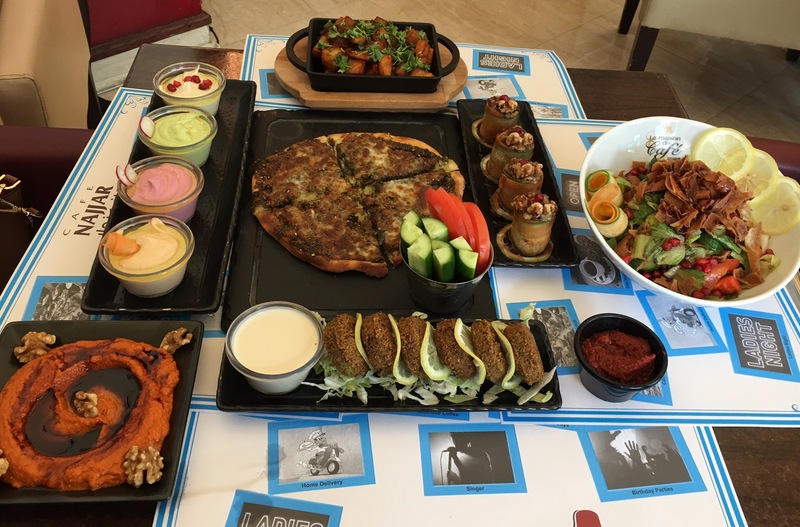 Located in the Tower 2 of Emaar Boulevard Plaza in Downtown Dubai, La Maison du Cafe-Najjar is a cafe/restaurant serving Lebanese and continental cuisine. Its more like a cafe and shisha lounge. The spacious cafe offers indoor and outdoor dining space. The Middle Eastern inspired decor looks great. 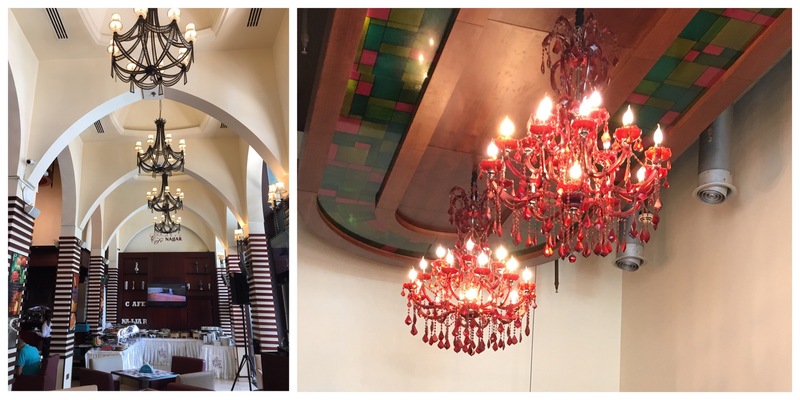 Gorgeous chandeliers adorned the high ceiling of the cafe. They also have a small stage for live music. The cafe offers the stunning view of Burj Khalifa. Its a great place for all shisha enthusiasts. I personally didn’t try the shisha as I don’t smoke. But all the guests at the cafe were smoking shisha and their shisha seemed pretty popular. On week days they have buffet, but we ordered from their a la carte menu. The cafe is open 24 hours and serves breakfast, lunch, dinner and anything in between. Their menu is vast with a huge variety of dishes. As we were vegetarians, we ordered only the veg dishes. 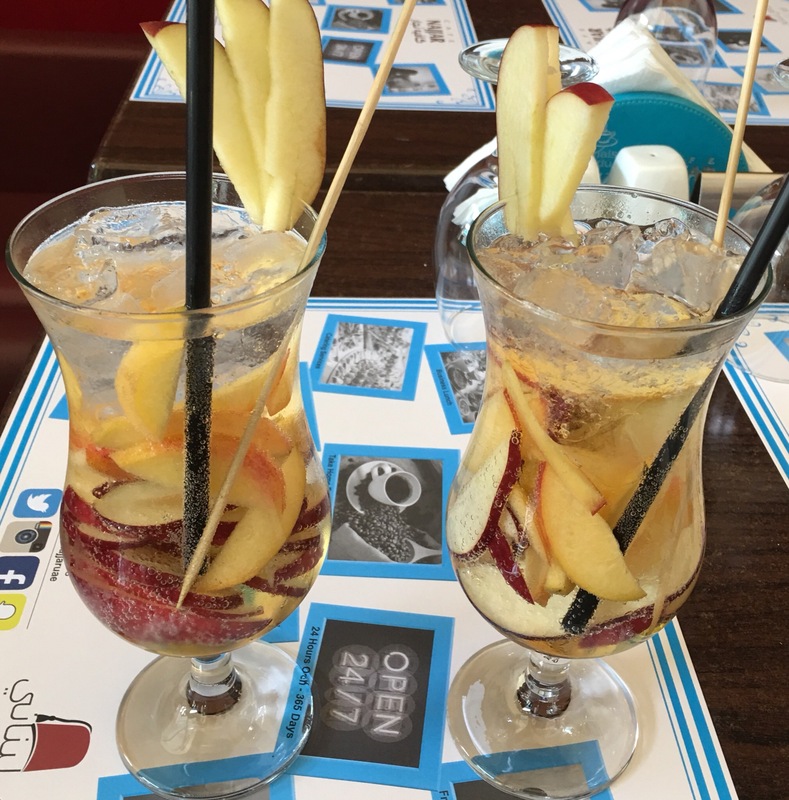 We were impressed by their elaborate drinks menu that offered fresh juices, mocktails, milkshakes, tea and a huge variety of coffee. We ordered the super refreshing and amazing drink Peach Treat. Fattoush that had mixed veggies with fried Arabic bread and pomegranate sauce was not fresh. Hummus flavor that had 4 different flavors of hummus including the classic hummus was good. We especially liked the pesto hummus. Loved the creative way they served Moutabel. But sadly the taste was quite bland and we didn’t get the taste of eggplant. Muhammara was slightly spicy and had a nice texture. It was oily but nevertheless tasted yummy. Falafel was good, just like you get in any Middle Eastern restaurant in Dubai. It was served with a creamy tahini dip. Spicy Potato or Batata Harra was crisp, spicy and tasty. Zaatar & Cheese Saj was disappointing. It was very thick with too much filling. It was served with a bowl of veggies. The Chilli Paste we ordered was perfect. 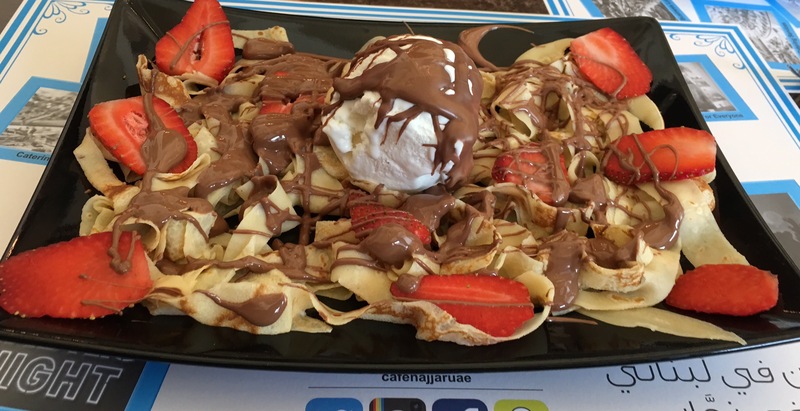 We ended our lunch with Fettuccine Crepe that was topped with a scoop of vanilla ice cream, chocolate sauce and sliced strawberries. This dessert was fantastic. We relished it. Our overall experience was okay. The food requires a bit of an improvement apart from that everything else was good. The service was helpful, friendly and prompt. The atmosphere was great too.